After being approached by and being signed to a number of local indie labels, with little results OD took the knowledge he gained from those experiences and created his own record label 1Ent; in 2008 he released his first album Black Friday. In 2011, O.D almost gave in to the same darkness that he used music to escape from. After his close friend, who kept him focused on music and out of the street, committed suicide, he was on verge of selling his equipment and becoming a teacher. It was at this time that Rico D’Nero, a life-long friend gave O.D a call saying that he wanted to pursue rapping. 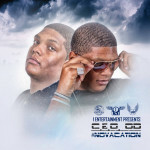 During the conversation OD expressed that he would play the background and be Rico’s manager, but Rico pushed OD to step back to in the limelight with a mixtape featuring both of them. With that duo that shared a taste for Dodge cars, formed the DodgeSquad. O.D is a visionary with the goal of taking 1Ent and DodgeSquad to a level that has not been seen in Chicago. “I want to go down in history as one of the best lyricists and moguls. My company is going to be a powerhouse, like Universal or Interscope. For DodgeSquad I want to go down in history as one of the best groups in music.” Being an independent artist on his own label is important for the rising mogul. After witnessing the unfair treatment and lack of freedom a deal can offer is something that does not sit with O.D; a natural leader, he welcome the responsibility that comes with running a label. In this industry, and especially in Chicago, it is rare to find someone willing to take other emcees from the block and turn them in to label mates. Staying true to his philosophy O.D has taken people from his block and created a band of brothers with a common goal to solidify their place as among the great within the industry, who confidently represent Chicago in everything they accomplish.